Darin’s responsibilities include lining up the band and the worship selection each Sunday. He also works with Rob Lott, coordinating the creative elements of the service. Originally from Port Orange, Darin has been in Jacksonville since his UNF days. 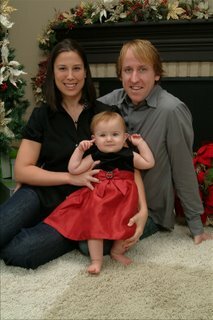 Darin is married to Sarah and is the very proud father of Ruby. Darin can usually be found mixing it up with local musicians around town or in his home studio producing music for some of Jacksonville’s finest. Darin and Sarah are two of the nicest people you’ll ever meet. Be sure to wish them a merry Christmas on Monday evening. You will be there Monday evening, right? 5:00 & 6:30pm. Invite a friend!.